The School is open to pupils from 7.45am (Early Birds) to 6pm (Late Stay). The formal school day begins at 8.25am with registration and is followed by assembly (Tuesday, Thursday and Friday) or form time (Monday and Wednesday). The afternoon begins with registration followed by a short period of form time. Lessons end at 3.25pm (Years 3 and 4) and 3.35pm (Years 5 and 6). See the full timetable here. There are three forms of equal ability in all year groups. Form time provides an excellent opportunity for group discussion, where pupils can talk to their Form Teacher about a wide range of topics not necessarily connected to academic work. There are also plenty of opportunities during the school day when pupils can arrange to have a private word with their Form Teacher. The library provides a quiet environment for reading and homework during break and lunchtimes. At lunchtime the children are given free time to play, rehearse in a music group or take advantage of the extensive programme of clubs. Games takes place during the timetabled day and there are numerous after school clubs which extend the day beyond 3.35pm as well as a Late Stay facility. The whole school meets for assembly three times a week. The Prep is a multi-cultural school; religious messages communicated through assembly embrace the philosophies of all the main faiths. We try hard to avoid language that promotes any particular religious belief and celebrate many festivals. Our Friday assemblies give a chance to celebrate the success of our pupils. Each week we present certificates to pupils who have achieved distinction in whatever their chosen field, whether this takes place inside or outside school. Parents are very welcome at Friday assemblies. 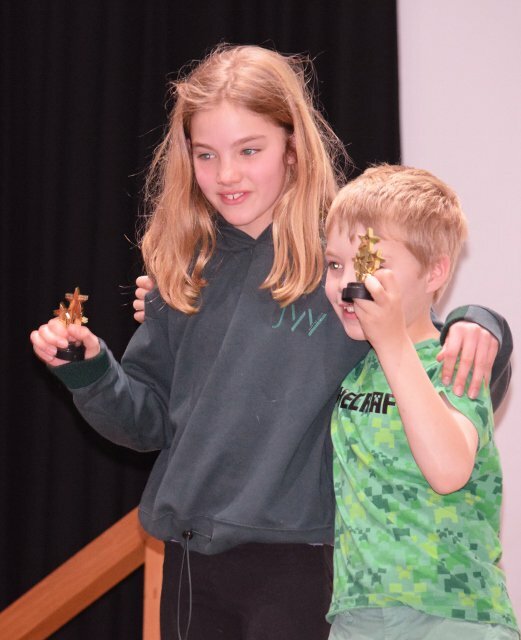 At the end of each term a formal assembly takes place for the whole school to recognise their peers’ achievements: Department Certificates and Form Shields are awarded to pupils who have consistently shown an excellent level of commitment and effort. Library prizes are also awarded for helpful contributions to the School’s library. Life at the Prep is busy, and fuelling pupils’ energy is a vital job. The Perse employs the catering company Holroyd Howe Independent and the Prep has its own Chef Manager and staff. The Chef Manager actively engages pupils in the topic of food, involving them in the creation of menus and organising sampling days. Pupils and staff eat together in the school dining room. All our food is cooked on the premises and the emphasis is on healthy eating and choice. Each day three hot dishes are available – one vegetarian – and a wide range of salads, cold meats and cheese is also on offer. Desserts include a traditional pudding, fresh fruit and yoghurts. We can provide dishes to meet specific dietary requirements and the School is a ‘nut free’ zone. Pupils are free to make their own selection, however, staff encourage children to try new things and eat a balanced meal. Life extends beyond the final bell of the school day as children from all years are encouraged to sign up to one of more than 70 exciting and enriching extra-curricular clubs – the majority of which are run in-house and free of charge. After school clubs typically meet at 3.45pm and finish by around 4.45pm. Please visit our Beyond the Classroom pages to find out more about our clubs. Morning supervision of children starts at 8am in the playground. For those parents who are juggling various school runs or the commute to work, there is an earlier supervised ‘Early Birds’ session in the dining hall from 7.45am until 8am, for which there is no charge. In the afternoon – mindful of Cambridge travel logistics – we supervise children between 3.25pm and 4pm for parents who may be delayed. Most children are collected at the end of school, or when their after school club finishes, however, pupils can stay in our supervised ‘Late Stay’ from the end of school until 6pm, for which there is a charge. We provide light refreshments and the children can do homework, read or play games.